Did you get sad on Wednesday when Apple revealed the new iPad and it featured LTE 4G but only for AT&T and Verizon and didn’t mention Sprint at all? Fortunately, the new iPad is likely to arrive to the only slow but unlimited data carrier in the US. 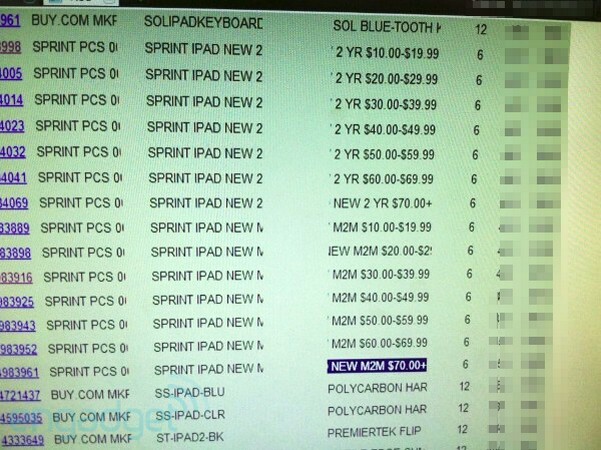 Engadget obtain an image (above) of a Best Buy inventory system database showing the new iPad model for Sprint. This indicates that we may see the Sprint iPad model very soon at any Best Buy store. Or we might see the new iPad on Sprint’s 4G LTE network during the second half of 2012, as Sprint’s chief financial officer Joe Euteneuer announced at the UBS Global Media and Communications Conference that Sprint’s first 4G LTE devices will arrive during that period.